Here is a map shows territory of Russia. interesting map of Verkhniy Avzyan и OziExplorer calibration for gps. map of Yegorov 1 cm to 1 km for you. actual map of Nizhniy Avzyan with gps calibration for gps. topographic map of Muradymovo with gps calibration for Garmin. detailed map of Magadeyevo here. actual map of Kulganino with gps calibration this. topographic map of Krivaya Luka calibrated for you. map of Kagarmanovo и OziExplorer calibration for you. detailed map of Khamitovo this. detailed map of Kaga with gps calibration for Garmin. 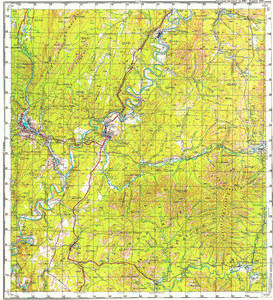 topographic map of Bogryashka 1 cm to 1 km free download. topographic map of Bashgoszapovednik for you. actual map of Roshcha with gps calibration presented. actual map of Bel'skiy 1 cm to 1 km free download. interesting map of Smolokurnya и OziExplorer calibration for gps. detailed map of Sargaya for you.